My favorite way to browse r/lacqueristas is from the bottom up. While a lot of really great nail art rises to the top, redditors needing advice or help stay down where relatively few others will see their post. I like giving advice...if you haven't noticed already, so it's my favorite part. One question I see a lot, both there and on the Nail Board, is "Do I need special polish for stamping?" Nope! The only stamping polishes I've ever used are Bundle Monster's Creative Art polishes (and more shades), and while they're good there are plenty of "regular" polishes that work just as well or even better. I decided to make a general guide to what qualities usually mean good stamping potential and a list of shades Nichole and/or I have used in previous stamped manis. I think you can tell which are my go-to's for stamping. 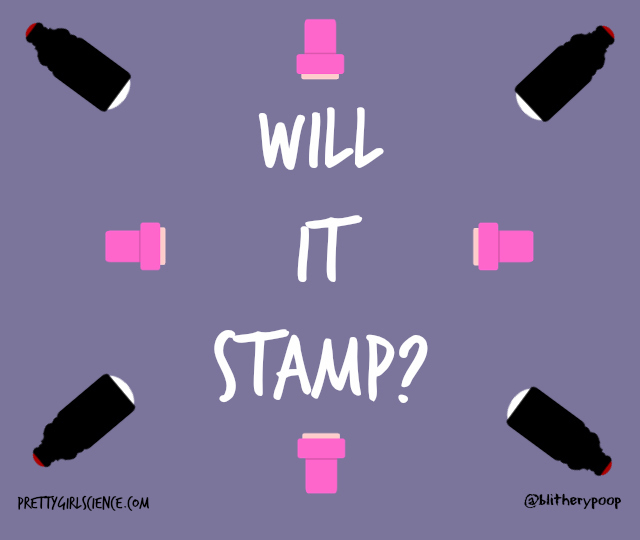 Do you have any favorites for stamping? Feel free to list as many as you want in the comments.